You are about to go and visit the great great great petridish that the bay area is? You work in New Technologies? in interaction? You are visiting S.F. for a business trip or a prospective trip? You are just a passionate tech person on vacations? You want to find out how to visit Googleland? To find super geek merchandise? To meet the right people? Get a whole different point of view of the city? 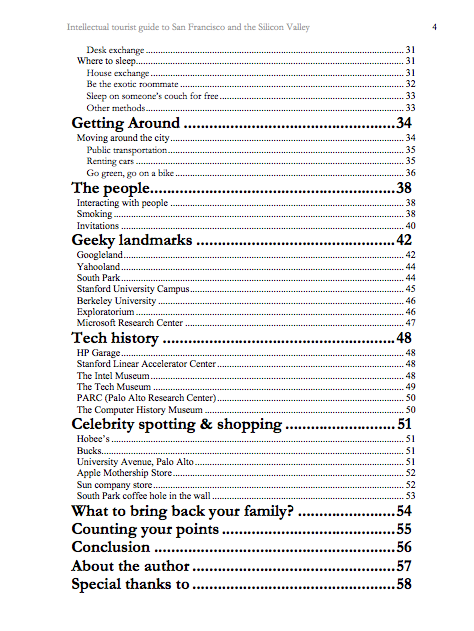 Well, this guide is for you. 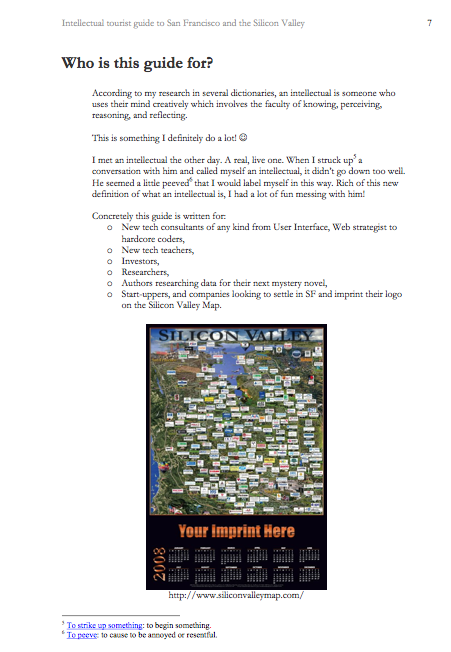 This is the eBook I needed when I went on my intellectual trip to the Silicon Valley, so I wrote it. Want some readers reviews? Perharps? 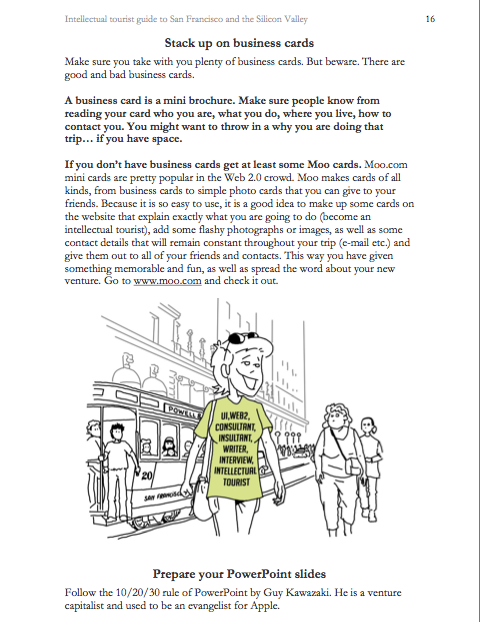 12 € eBook, released in november 2008, PDF reader required, 57 pages with a few illustrations, just for the fun. Challenge to readers included. Paypal secured transaction. 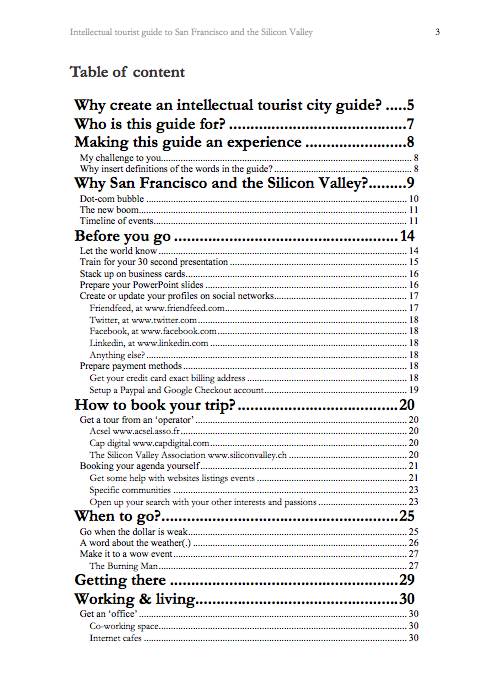 A new guide, professionnal tourism, useful, fun, a different vision of SF. Well done! Nathalie Magniez, Bloobble.com. Really enjoyed the challenge and the networking part. Wish you'd talked more about setting up a business in the Silicon Valley though. Next book? Thomas Lang, e-citizen.tv, entrepreneur. The author's personnality and experience makes it a very enjoyable read. N.M. 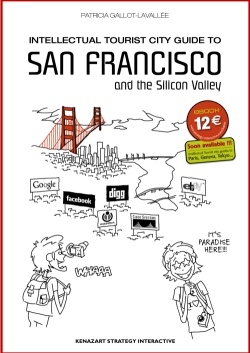 I have had this book in my hands few months after my first professional trip in the Silicon Valley. I realized I've done the job "not so bad" but I realized too that it could have been more exciting if I had the opportunity to read it before. when Seth Godin says "Choose to be extraordinary and the rest will follow"
Twilight saga success analysis, what is it with those books! This website in under Creative Commons License by-nc-sa.